Pre-order sales take 4-8 weeks to dispatch. Shipping for in-stock orders takes 1 working day to dispatch. You can find the 1 day in stock dispatch listing here. Drag image for 360 view. 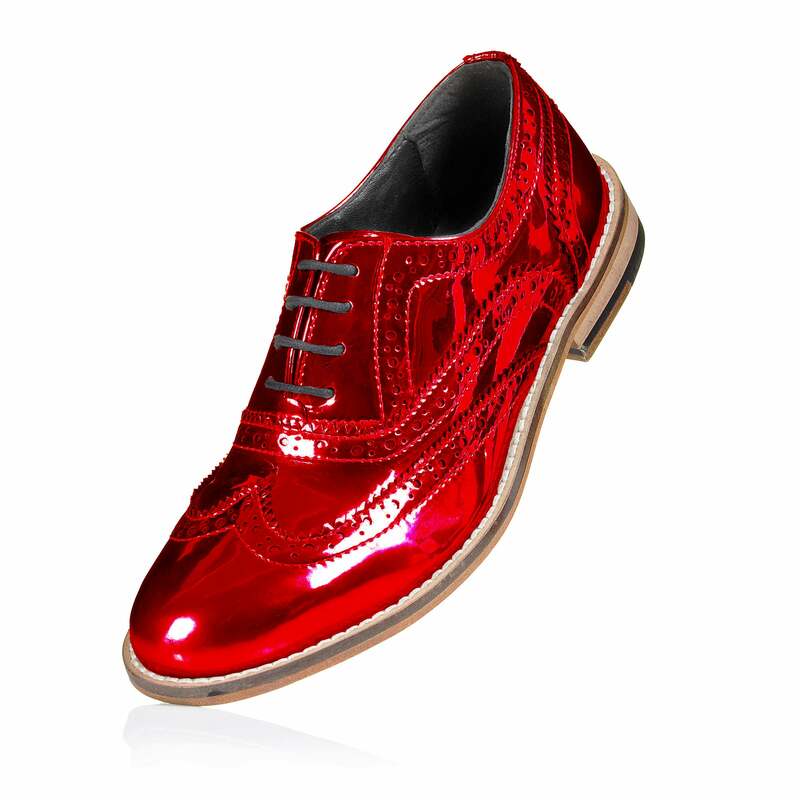 Hand-made and based on the classic brogue shoe pattern, these brogues feature a deep red mirror finish tint. Free shipping worldwide from London (UK) takes 3-5 days from dispatch. Please note that this item is pre-order and can take up to 21 days to complete. As these are made to order it will be possible to return the item under the conditions detailed here.